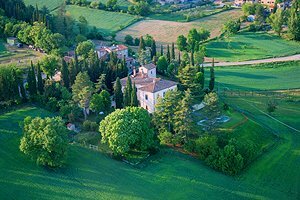 Florenceholidays.com presents a wide selection of holiday villas and castles for rent in Arezzo and in Tuscany - country villas, luxury apartments in Medieval castles with private swimming pool and luxury villas. 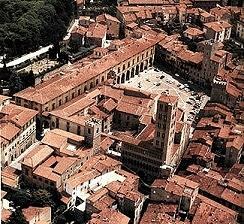 Like many other Tuscan cities, Arezzo is of Etruscan origin: in the past, Arezzo was one of the twelve most important cities founded by this mysterious people. Today, Arezzo is renowned all over the world for its goldsmiths, its Medieval monuments and the famous "Giostra del Saracino" (Saracen Joust). Renting an apartment in a castle in Arezzo is the ideal solution for visiting this wonderful city and its gorgeous countryside. Find in this page and in our website the accommodation for your next holidays in Arezzo countryside. Elegant "Residenza d`epoca" sleeping 9 in Valtiberina, in Sansepolcro (Arezzo). Swimming pool, wide garden, private hallowed chapel, Internet connection. Spas, riding stable, golf club and tennis club in the neighbourhood.